What do you expect from me now after something like that? How could I ever listen to Rush again? What meaning could there be in everything that I thought had meaning before? Why bother even wearing shoes anymore? 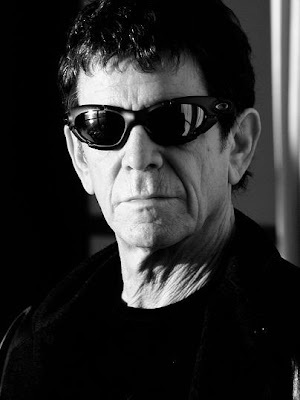 Nothing -- NOTHING -- in my life had prepared me for an experience like that -- damn you Lou for breaking me open. And like that, I went from one type of person to another type of person. Lou -- that voodoo that you do, Lou. Later there was "The Blue Mask" an album of highs and lows -- the title track being the most honest assessment of how pathetic and self-deluding and mud covered we are. Every time. All the time. And it slowly disappears. We forget. Move on to shinier things and odd goat dances in the meadows. And we are doing it again -- those things that make us base -- and there is the Blue Mask. Under the shiny things. Orchestrating the goat dances. Lou knows. He tells you. But it's not because he cares. It's not because he embraces our common humanity. It's not even because he wants us to be better. Lou is there to point the finger in your face. To open your eyes. To peel away the layers. But he doesn't notice what you do when you finally understand. That's not his holy role. 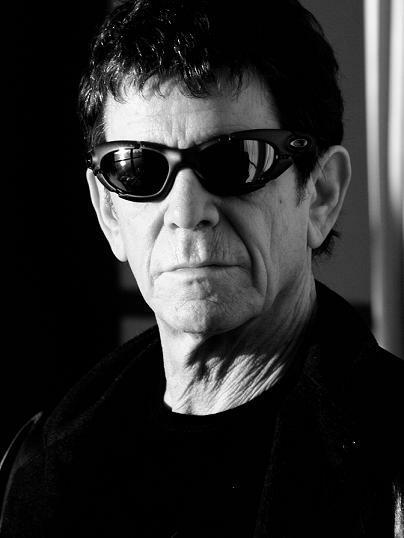 Lou Reed beats your god every time! If you want, I can make you a sandwich. It will be tasty and you will be glad to eat it. Get comfortable: slacks and slippers, sweaters and socks. Breathe Deeply and Let the Tension Ooze out of your toes. Now let's listen to "Black Angel Death Song" and see where you go.